I don't why the limited edition Oreos come in smaller packages than the regular Oreo cookies. You lose about 10 cookies, so not fair. I bought these at Target by the way. I did not use an entire package of these. I only used 15. You have plenty to taste test before you make the recipe. I used my mini cookie scoop to make the balls. I find it to be the best size for a sweet truffle. I don't even bother rolling it into balls, I just scoop and drop. Then I pop them in the freezer for a few hours or overnight. For the coating, I used the vanilla flavored Candiquik candy melt. I dipped half of the Oreo truffles in the regular vanilla flavor. Then I mixed the remaining candy melt with the Cotton Candy flavor of Duncan Hines Frosting Creations mix and dipped the other half of the truffles in it. They came out a pretty blue color. 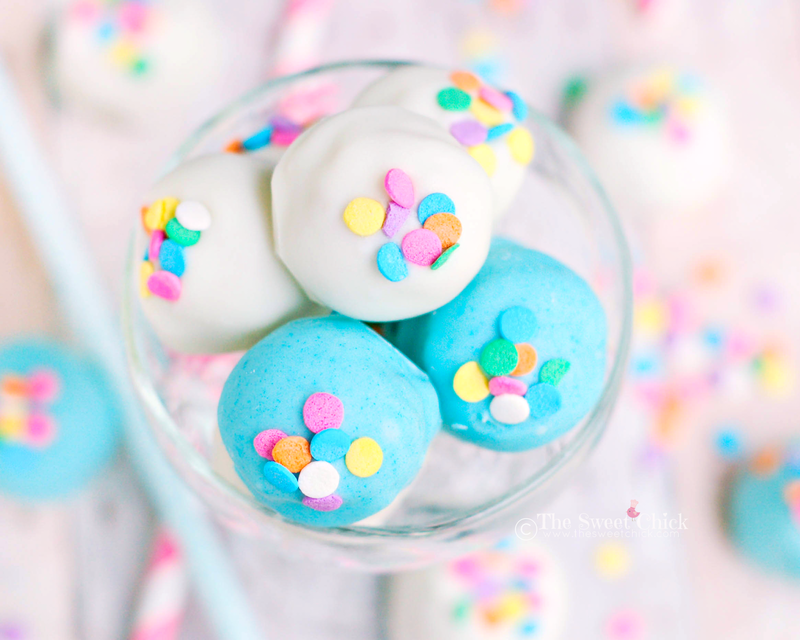 Both flavors of candy melt work well for these truffles, but I think my favorite is the cotton candy flavored one. 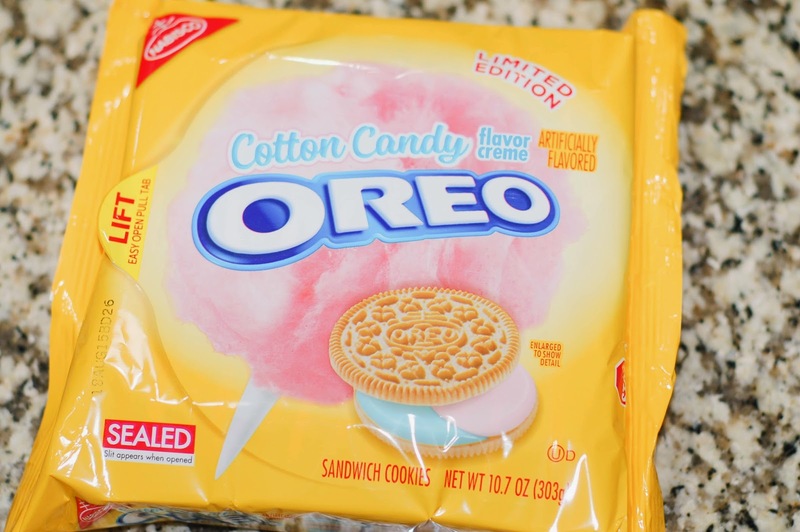 It just enhances the flavor of the Cotton Candy Oreos. I took these to the bus stop as usual and handed them out to the kids on my daughter's bus. They were all excited to try them and there were smiles all around. My son was ready to devour them all himself if I let him. 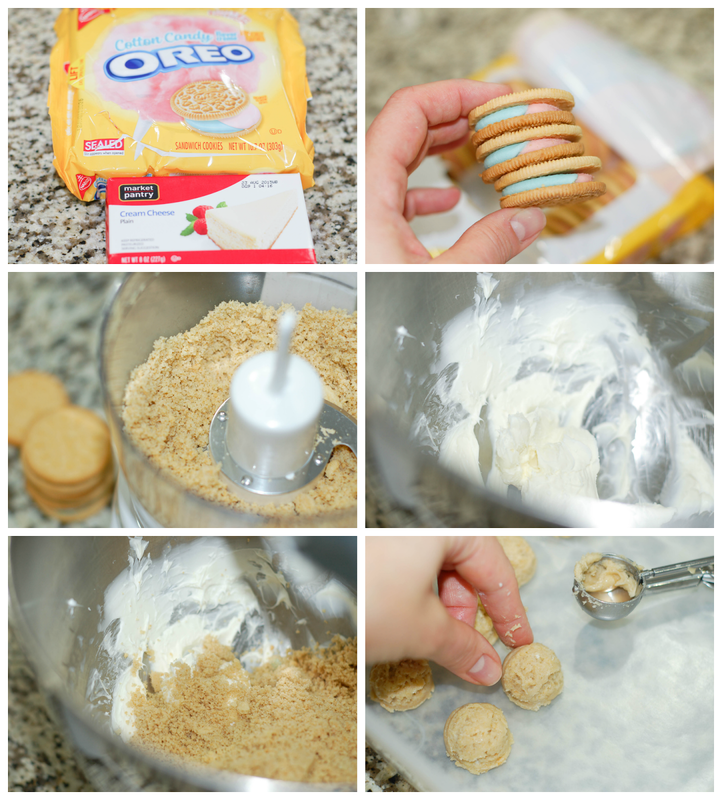 Crush the Oreo cookies in a food processor until they are a dirt like consistency. With a mini scoop, measure out 30 mounds and place them on a wax paper lined air-tight container. Pour in the packet of flavor mix and stir until completely dissolved and combined. If you are adding sprinkles, add them before the candy coating hardens. 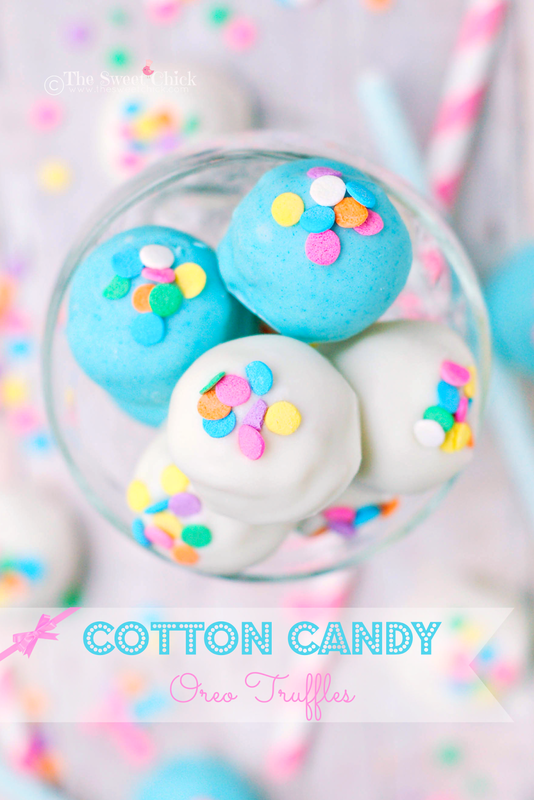 If you are doing all the truffles with the cotton candy flavor, then use 1 packet of Frosting Creations for all 16 oz. of the candy coating. 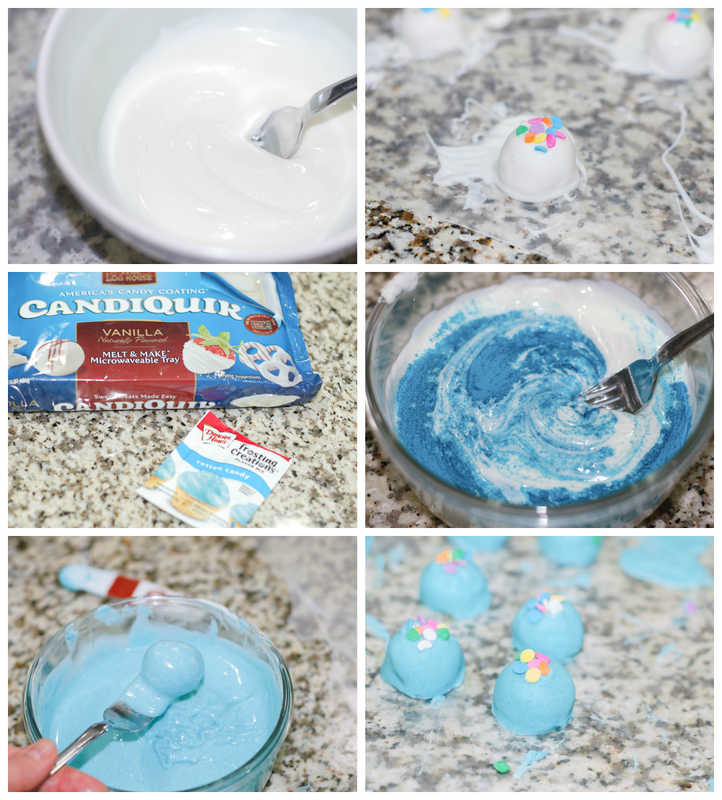 If you want to do half vanilla and half cotton candy, split the candy coating into two containers before melting and use only half (about 3/4 teaspoon) of the flavor mix powder. I absolutely need to go on a chase for enhanced flavored now. 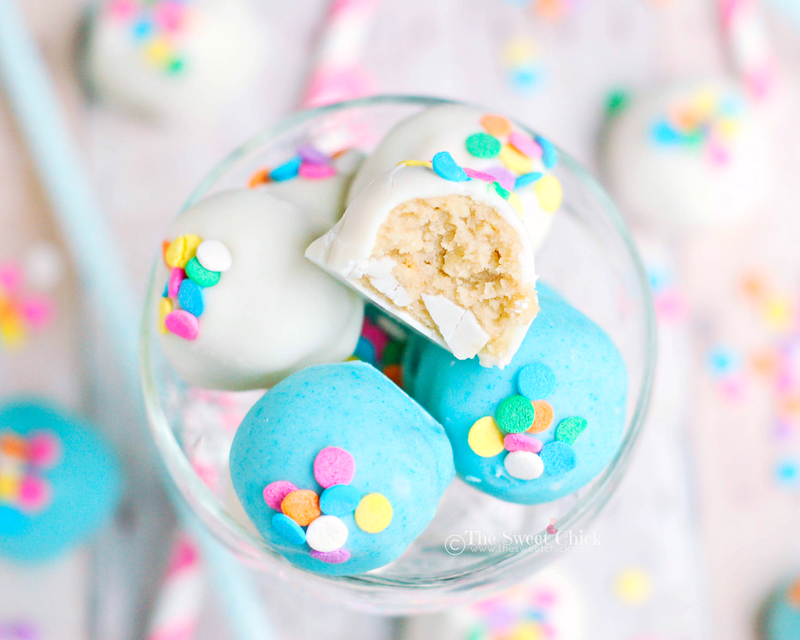 Cotton flavored enhanced oreos sound delectable and these truffles search a good time for a nibble estimated dessert. Love the coordinating shaded straws as well! I am writing essays,You can have a peek over the essay writing service reviews to know about the best essay writing services.